A lot of paperwork comes home each night from school. Most of the papers are completed assignments or notes. Many of the notes are reminders of upcoming events but occasionally notes come home that are a little disturbing to me. During the prime cold and flu season it is expected that an occasional note will come home warning of something being shared in the classroom. This year we were warned about strep throat, stomach flu, and pink eye from various classrooms. I'm never too concerned about these warnings, but there is one warning that recently came home that puts me immediately on edge. This warning sends me into a head itching frenzy! I am even itching my head right now thinking about it! I can't help it! 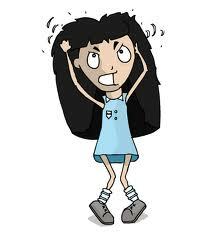 When I am warned to keep an eye on my child because cases of lice are going around the classroom it seems that I contract a phantom case instantaneously! I am happy to say that our home has never had a real case of lice, (knock on wood) but having been a teacher for many years in the past I have encountered a ton of cases of lice. (just not on my own head) There was one entire school year that I wore my hair up every day due to children coming into my room with cases of lice! 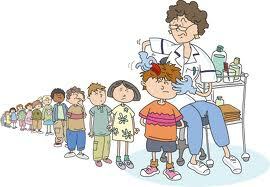 The nurse was in my classroom at least three times a week to inspect everyone. I included myself in the inspection because back then I also had phantom cases, but who wouldn't!! There was no hiding that I continually sent children home because they had lice. It began to be a contest to see how many days I could go louse-less in my classroom! My supportive staff gave me suggestions on remedies just in case and children's books about lice! Parents of the children began to come in and be inspected as well! What a mess and it lasted the entire school year!